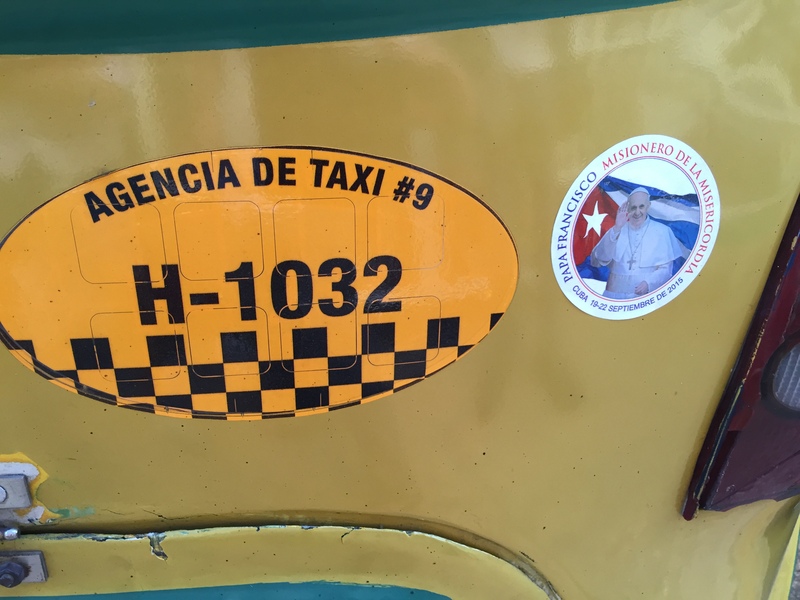 [From Austen Ivereigh in Havana] This afternoon (close to midnight UK time) Pope Francis arrives here on his tenth apostolic voyage — by far the longest and most complex yet, one that includes three days in Cuba followed by four in the United States. As I write, the papal flight has taken off from Rome, packed with dozens of Vatican-accredited journalists while here in the Hotel Nacional in Havana the international press centre is filling fast. The Pope’s week-long itinerary involves a constant back-and-forth between power and poverty, the margins and the periphery, and has at its core a wound-binding, door-opening, reconciling mission to the Americas by the first pope from the New World. While the aim of the trip, as always when popes travel, will be to evangelize and to encourage the Church, the diplomatic significance of the 19-28 September visit is obvious: the Pope is accompanied both by Cardinal Pietro Parolin, the Secretary of State, as well as, unusually, the Vatican’s British-born foreign secretary, Archbishop Paul Gallagher. The visit to Cuba and the United States takes place less than a year after the historic renewal of diplomatic ties between the two nations, brokered by Pope Francis, and includes an address to the United Nations in New York. Pope Francis will give 26 formal speeches, all but four of which will be in his native Spanish. 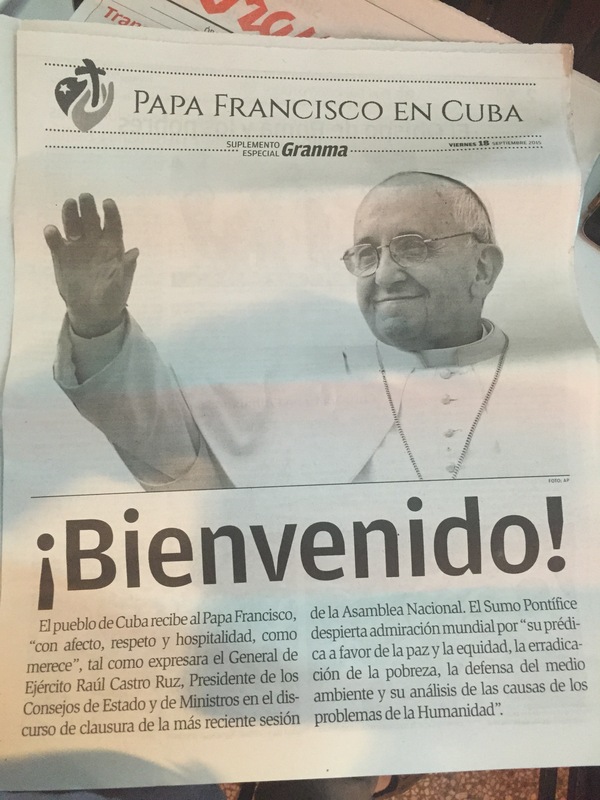 Cuba has been especially favoured by papal visits. In Latin America, only Brazil — the world’s largest Catholic country — has had visits from John Paul II, Benedict XVI and Francis. The Archbishop of Havana, Cardinal Jaime Ortega, today becomes the only archbishop in the world to have hosted all three popes. Arriving in the U.S. from Cuba”as a migrant” — as Cardinal Parolin puts it — highlights the key theme of immigration. Against the background of the largest global movement of people in history — including the current influx of refugees into Europe from the Middle East — the Pope will have many opportunities to emphasize the importance of welcoming the stranger. As the grandson of Italian emigrés, Francis is deeply familiar with the issue, as he recently told the Portuguese radio journalist Aura Miguel. Here in Cuba, he comes as a “Missionary of Mercy” — the official slogan of the trip — to further efforts at reconciling the island with its giant neighbour, a process that began with the opening of the two countries’ embassies, and which is expected eventually to lead to the lifting of the U.S. economic and trade embargo against Cuba, which the Church has long deplored. The embargo, known in Cuba as el bloqueo or ‘the blockade’, was imposed in 1961, at the height of the Cold War, in retaliation against the Revolution’s nationalisation of US businesses. Although not solely responsible for Cuba’s desperate poverty — clearly, the communist regime’s suffocation of economic freedom has played its part — the embargo has effectively acted as a veto on Cuba’s development, as well dividing Cuban families on either side of the Florida Straits. The population in Cuba is 11m, but some 2m Cubans live in the U.S. having fled for mostly economic reasons. The remark suggests that Francis sees overcoming the decades-old US-Cuba standoff is key to a better future for all of the Americas, in which North and South collaborate for the common good. The Pope is likely to refer to the embargo while here, as Benedict XVI did in 2012 when he deplored “restrictive economic measures imposed from outside.” He may well also appeal for its lifting in his address to U.S Congress on Thursday, which would be far more powerful. President Obama has already announced an easing of some of the restrictions on the eve of his arrival. The time may be right to do so: although anti-Castro hardliners in Florida have in the past strenuously opposed to any softening in the U.S. policy, a new generation of Cuban-Americans and a majority in the Republican Party now favor lifting the embargo, as does President Obama. 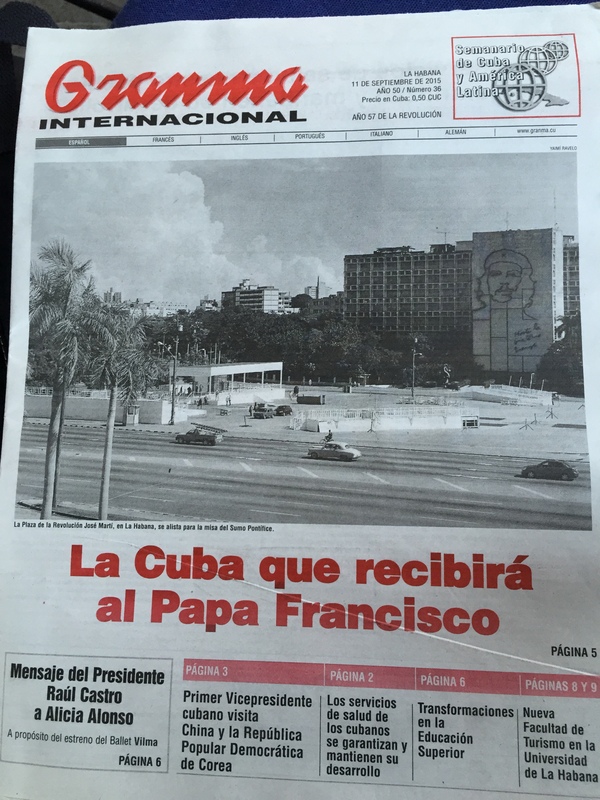 Official Vatican policy is to call for a lifting of the embargo to be accompanied by greater freedom and human rights in Cuba, so it is unlikely that Francis can call for one without asking for the other. The Florida Straits is to this pontificate what the Berlin Wall was to St John Paul II’s — not just a geographical impediment but a barrier of hostility, misunderstanding and prejudice. 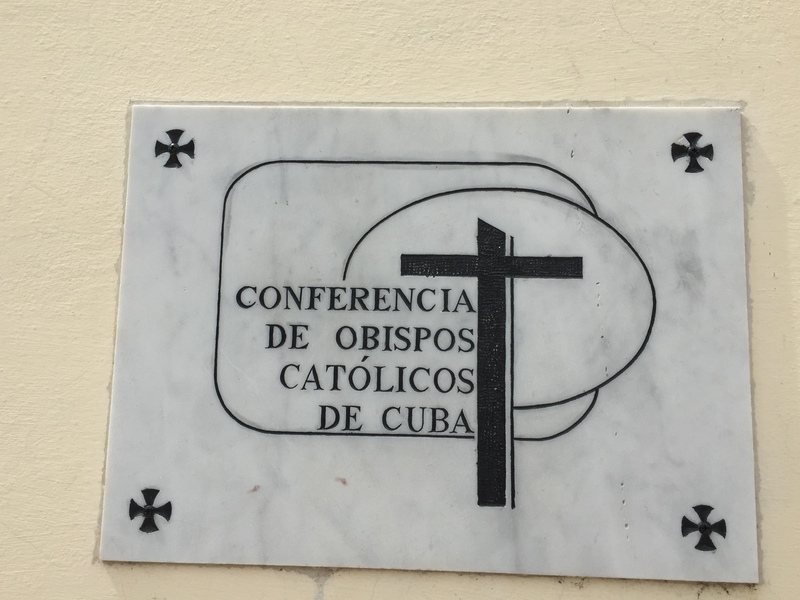 The official policy of the Cuban bishops’ conference over many years has been to encourage the communist government in its gradual reforms, rather than to support opposition movements. “Cuba is changing, and we must help it,” as Pope Benedict XVI told Cardinal Jaime Ortega of Havana. 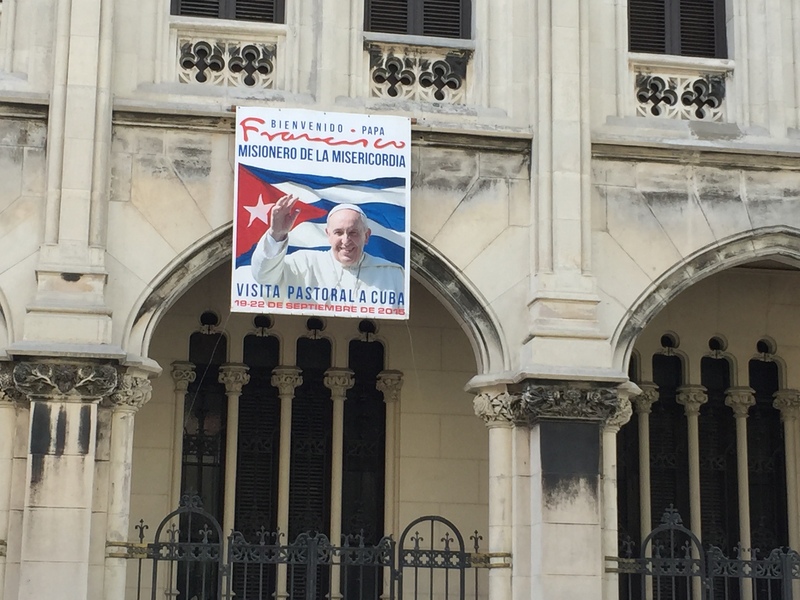 This policy, while controversial among so-called dissident groups, reflects the Church’s support for the original aims of the Revolution — political and economic sovereignty, social justice — that reflect longstanding aspirations of Cuban nationalism. In Cuba, Catholicism and nationalism have long since gone together, ever since the independence leader and ethicist Fr Félix Varela (1788-1853). Pope Francis will tomorrow afternoon address young people outside the Félix Varela Cultural Center in Old Havana — a moment for reflecting on th instrinsic links between faith and culture. While steering clear of opposition or dissident groups, and without ever explictly calling for multi-party elections, the bishops here have consistently critiqued the lack of freedoms in general in Cuba, not just religious freedom. In a major document in September 2013, the bishops called for the Cuban state to renounce paternalism and embrace pluralism. This will be essentially the line Francis pursues. But given his regular critique of self-enclosed, self-referential ideologies, there is a great likelihood that he will include a reference to abstract thinking that is not rooted in the concerns and values of ordinary people. The Church itself is occupying new spaces opened up by Raúl Castro’s reforms since 2008, reforms that have allowed the growth of a small private sector outside the monolithic state. Some half a million people are now privately employed. While encouraging these changes, the bishops worry that without a vigorous civil society expressed in strong mediating institutions, Cuba risks going from a monolithic, authoritarian society to one of rampant individualism and consumerism. 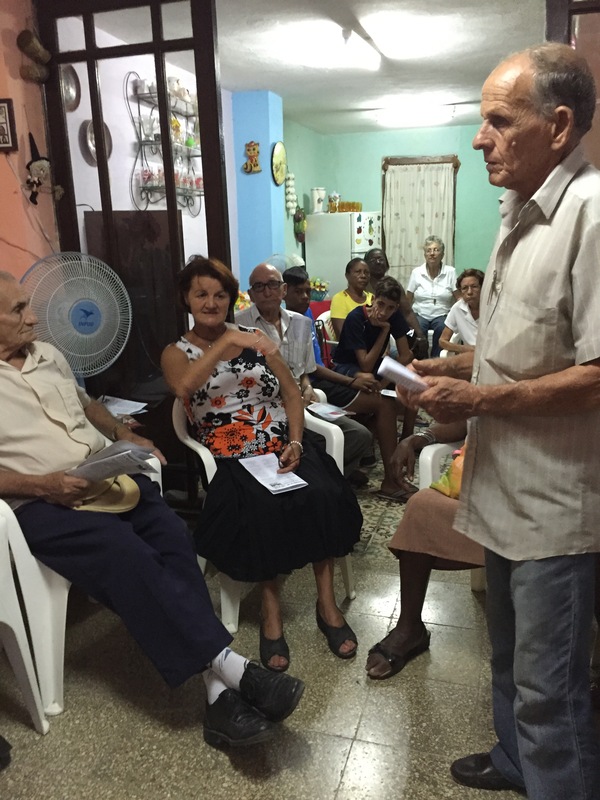 The Church’s own contribution to the growth of Cuban civil society is evident in courses and trainings it offers through its cultural centres like Félix Varela, as I discuss here. The new freedoms enjoyed by the Church and the population in general mean that Cuba breathes easier than it did when I was last here in 2003, when tensions were higher and the government more paranoid. The Church now has far more access to the media, for example. Recent interviews with the Archbishops of Havana and Santiago on prime-time Cuban TV — unthinkable even only a few years ago — have meant that Cubans have become much more familiar with the Church. Yet Cuba still lacks basic freedoms. And while the Church’s roles in education and care for the poor are tolerated, however, there are plenty of powerful officials within the Cuban régime attempting to put on the brakes. So while the Pope is unlikely to refer to democracy and human rights — which would be perceived as explicit criticism of the régime — he is very likely to refer to the deeper freedoms on which a healthy civil society depends, in order to encourage the reformist elements. As well as preaching reconciliation and calling for greater basic freedoms, Pope Francis will not miss the opportunity to encourage Cubans in their desire for sovereignty. The Pope’s own Latin-American nationalism gives him a natural sympathy for what in his 1998 book he called Cuba’s “soul”. The visit is rich in opportunities for the Pope to develop this theme. After Mass in Revolution Square tomorrow morning, an address to bishops, clergy and religious at the Cathedral in the afternoon, followed by his informal talk to young people at the Varela Centre, Pope Francis on Monday will fly to Holguín, a poor city in the middle of the island, where he will say Mass in the Plaza de la Revolucion and bless the city from “Loma de la Cruz” (The Hill of the Cross). The Eastern province of Holguin is famous for being the place where Christopher Columbus first landed October 28, 1492, as well as being the province where both Fidel and Raul Castro were born, sons of a wealthy sugar plantation owner from Galicia, in Spain. After Holguín, Francis will go on to Santiago in the south-east of the island, Cuba’s second city, to the shrine of the “Virgen de la Caridad del Cobre”. The shrine of the island’s patron, in the mining town of El Cobre (meaning ‘copper’) is a powerful symbol of cubanidad and cubanía —the deep-rooted sense of belonging that Cubans feel. People in the Church here still recall the statue’s 16-month tour of the island, ending in December 2011, to celebrate the devotion’s 400th anniversary. During that time over half of the island’s population turned out to greet the Virgin, in an extraordinary outpouring of devotion. Although Cubans do not go to church much outside Easter and Christmas — the official weekly Mass attendance figures are around two per cent — they are mostly baptised, and more than 60 per cent self-identify as Catholics. But observers stress that Cuba’s Catholicism should not be measured by attendance alone, which is traditionally low — estimated at less than 5 per cent — after decades of official persecution and low clergy numbers. There are fewer than 400 priests in Cuba to serve a population of 11 million. There has only been one new church built since the Revolution. Yet popular devotion is widespread — as too is attendance in so-called Casas Misión, house churches that have spread rapidly in recent years with the support of parish priests. 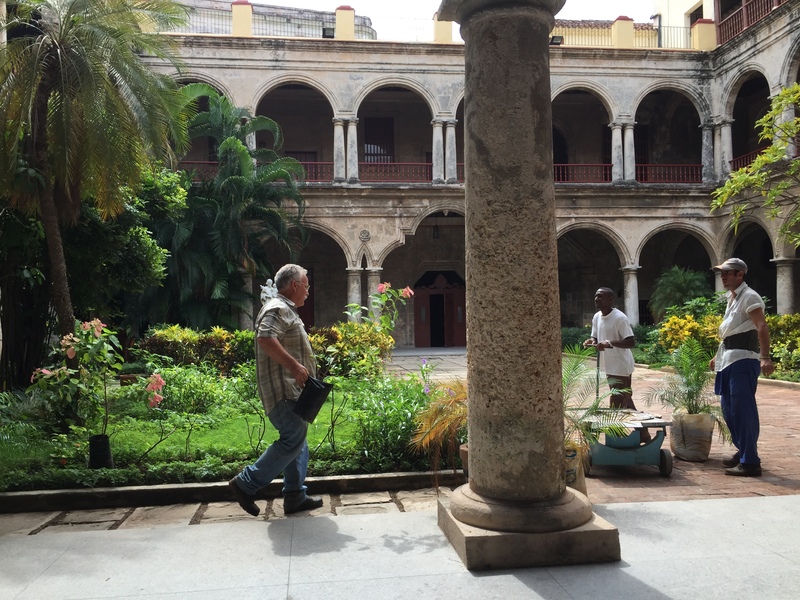 There are thought to be over 2,000 such Casas throughout Cuba, and hundreds in Havana archdiocese alone. 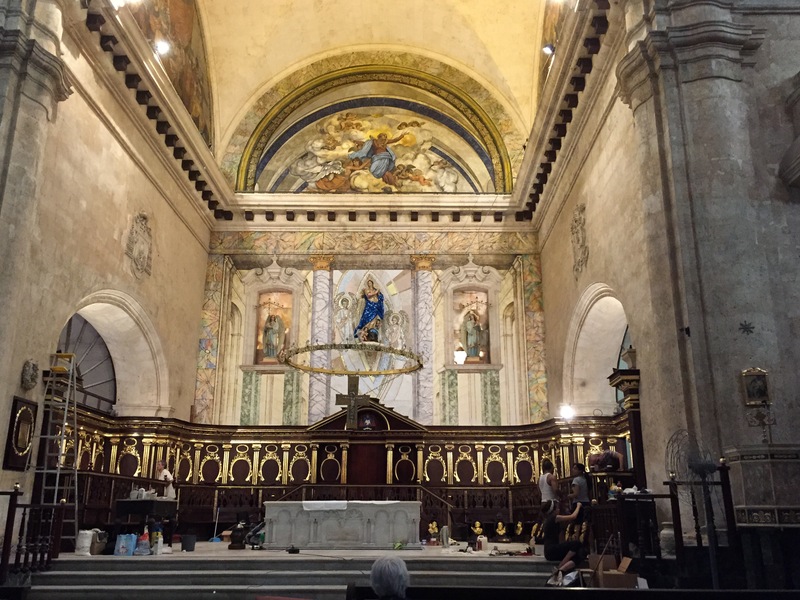 At the parish of the Miraculous Medal in central Havana on Thursday night I attended one such Casa Misión, one of 120 groups in the parish, each made up of 15-20 people. Prayer, scripture reading and discussion, as well as practical acts of charity — above all tending to the elderly — make these a vibrant part of the Church, even if three-quarters of those who attend them do not go to Mass. The people in the Casa Misión spoke to me of their hopes for the visit: for reconciliation, for understanding between the US and Cuba, for families divided by the Florida Straits to be reunited. One woman tearfully prayed for “end to the embargo, and all that evil”. They expressed gratitude to Pope Francis for the lessening of tensions between the US and Cuba, and spoke affectionately of his humility and his warmth. One said they felt Pope Francis understood that Christianity in Cuba was often mixed with non-Christian traditions, and that it was important not to exclude those who were finding their way to the Truth. One difference between this papal visit and the two previous is the extent to which the Cubans feel they know the pope — and not just because he speaks their language.